Hypack chose the Ellipse-D inertial navigation system to equip their new UAV-based surveying solution: the NEXUS 800. 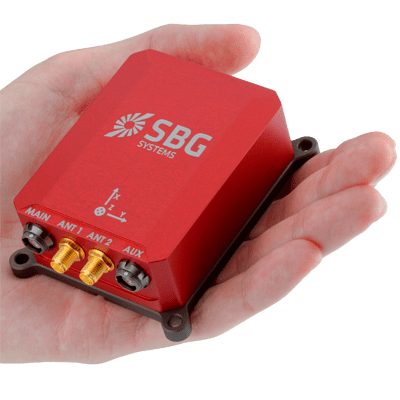 The NEXUS 800 powered by HYPACK is a full end-to-end solution that represents a new paradigm in Unmanned Aerial Vehicle (UAV) data collection by seamlessly harmonizing LiDAR data with photogrammetry. Powered by HYPACK-HYSWEEP mapping software, the operator can plan, acquire, and process the LiDAR and Photogrammetry data onboard a high powered Windows PC and high performance UAV allowing for rapid analysis, product creation and export to a variety of CAD and GIS formats. 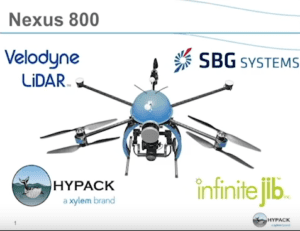 The NEXUS 800 UAV represents Hypack commitment to the surveying and mapping community seeking a true end-to-end solution leveraging the various expertise from HYPACK, Infinite Jib, SBG Systems, and Velodyne onto one compact solution.